Analytics is a useful tool in optimizing your website performance by highlighting how users are interacting with your content. Not only does it allow you to understand how well your website is performing, but it provides insightful data about your visitors. You can use this data to your advantage when it comes to future marketing decisions, tailoring your approach to give your customers exactly what they want. We monitor your visitor logs to know where your traffic is coming from to help you fine tune your content as needed. We monitor the highest rated 'landing' pages which represent the areas of your website most relevant to visitors’ from search engine queries. Engagement is often overlooked as an important component of analysis and understanding website visitor behavior. We believe that a website should be the hub of any marketing strategy, local, regional and global. One of the first metrics we look at is total number of visits. The Site Content report give a quick overview of the most popular pages and sections of a website. You can quickly identify whether users are getting to the pages you want them to and make marketing decisions based on the results. Bounce rate (reported as a %) is the percentage of single-page website visits. Simply, it tells us what % of our website visitors left after viewing only one page. Naturally, we want this number to be as low as possible. Helps you understand once a visitor arrives where do they leave from, also and more importantly helps a great deal with SEO maintenance. See what size screens your content is most displayed on. Helps with SEO and knowing what to target for enhancements as needed. Not only interesting to see, but more importantly knowing what content, images etc. are being downloaded helps with maintenance decisions. Important to help fine tune your website SEO. 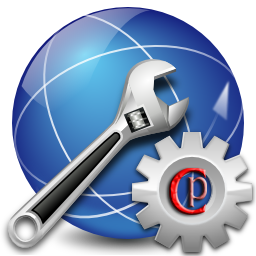 Tho this information may be critical to SEO it is also very important for maintenance. This can be a nice tool to help you understand areas of content that may need 'tweaking' helps to zero in to make your site better. As we offer advertising and links to our network having the ability to track how they are performing is critical. Allows you to set custom goals to track more in depth which helps you reach you goal(s) without having to guess. Tho this has become somewhat a costly service now days, it is still a key part in understanding how to make your site perform. We have the tools and services to provide this critical information and better yet we can help you apply the knowledge to make it perform. With insights from our analytics services you will know where your losing customers, where to drop or keep existing marketing activities. All Plans have different levels of information from basic to complex. This service adds a page of panels to your cpNET-works website. Plans are available for non cpNETworks hosted sites, if you are a local business or developer with a need for any of our services on your domain we invite you to contact us today using the form below.